First described in 1976 from montane Colombia (Fl. Neotrop. Monogr. 17: 264.) in sect. 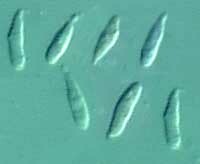 Alliacei, M. perlongispermus is characterized primarily by the small size, velutinous stipe, alliaceous odor, large spores, and growth from fallen oak leaves. 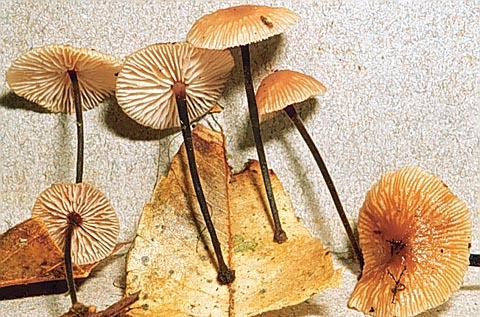 Marasmius copelandii from North America seems to be a sister species.